The improvement of Pokrovsky Park in Vladivostok will begin this year. Oleg Gumenyuk, the head of the city said it at a meeting with architects and church representatives. The architects want to divide the place of the townspeople rest for four zones: the temple complex, the memorial and economic zones, the site for public events. It is important to preserve the historical significance of the object. 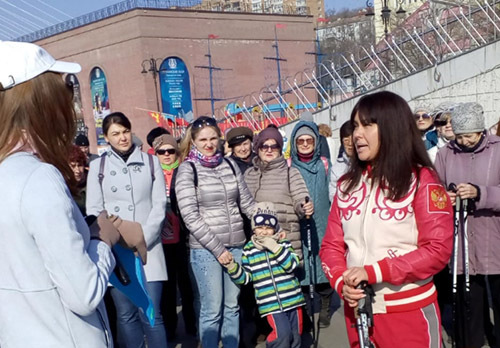 The territory of the park is returned to the administration of Vladivostok. For a long time this place belonged to the diocese, but they have no enough money to repair it. Representatives of the church supported the idea. And approved the this project. First of all, this year the park will be engaged in landscaping. They will begin with sanitary pruning of the branches, plant shrubs and conifers so that the greens will be in park even in winter. After there will be reconstruction of footpaths, lighting and installation of benches. It is planned that the project will be developed and approved this year. The implementation period will depend on the volume. It may be possible to complete the reconstruction of Pokrovsky Park in 2020.